We are excited to offer a quality filly by Written Tycoon, one of the hottest stallions in Australia. We have bought this filly for less than Written Tycoon’s current stud fee – the Written Tycoon progeny are just going to get more expensive. He stood last season at $88,000 and all reports this season he will go to six figures. She is a bargain at this price and will no doubt have broodmare value at the end of her racing career. 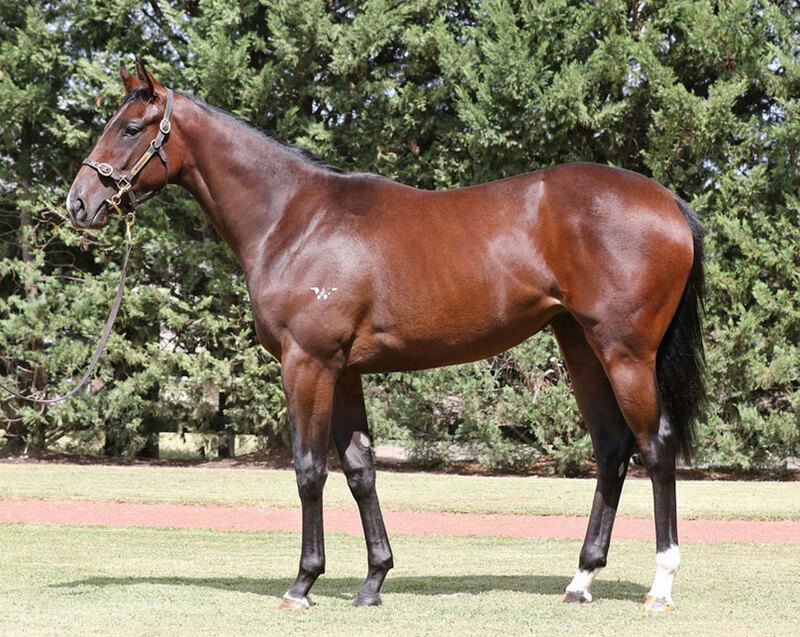 Neville bought her at the Inglis Melbourne Premier Sale for $60,500 inclusive of GST). Neville says she is a quality filly and ticks all the boxes. Price includes vet examination ($250), float from Melbourne to Perth ($1,950), the first 90 days agistment and expense ($3,000) – Syndicate fee -ASIC/RWWA/Compliance ($1,200) plus an advertising levy of $105 for 5% share and $210 for 10% share. Written By went into the Blue Diamond as one of those eight closely-matched challengers and came out a clear-cut champ – a strong horse relishing a strongly-run contest. A finishing speed of 98.1% certainly compromised what was a plain overall time. It shows this Blue Diamond to be a test of a horse’s ability to absorb early pressure. Written By came out strongest and earned himself a Timeform rating of 120 in the process. In 37 Blue Diamonds run since 1982 only six winners have won by a margin wider than Written By’s 2.5 lengths. Samaready, Sepoy, Paint, Courtza, Midnight Fever and Bounding Away. He always records exceptional fertility and in the past few seasons has covered some of the best pedigreed and performed young mares in the country. Bee Ali is a three times winning mare by Al Maher. She won from 1000 metres to 1223 metres. She is a half-sister to stakes-placed gallopers No Smoken and And Rock. No Smoken – 5 wins from 1200 metres to 1400 metres – ran second in the Listed MRC Blue Diamond Preview. And Rock – 2 wins at 1300 metres and 1400 metres. Ran third in the Listed VRC Lexus Hybrid Plate and placed fourth in the Group 3 SAJC Morphettville Guineas and Group 3 VRC PFD Services Stakes. Rockabee Miss – 5 wins from 1000 metres to 1300 metres. Petite Dejeuner by Hemisphere raced twice. She produced 10 foals to race for 8 winners, including Trencher – 4 wins from 1100 metres to 1500 metres and placed at Listed level, and Flipjacks a winner of 7 races from 900 metres to 1600 metres. Petite Dejeuner is a full sister to stakes placed Tea’s On and a half-sister to the stakes winner Le Dejeuner.